Award winning professional engine builder 1981 to present building chevy and ford racing engines for dirt late models and open wheels also asphalt late model racing engines and drag racing, truck pulling and racing boats. Established in 1948 by I.J. 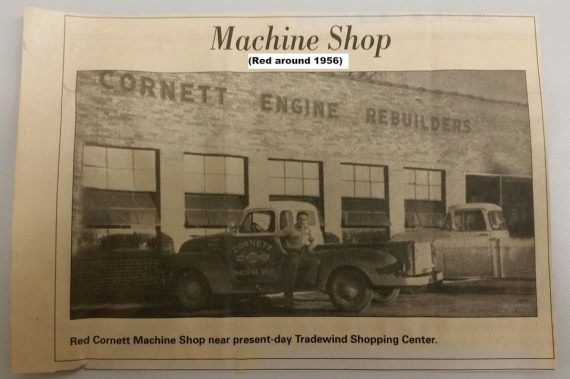 “Red” Cornett, the business has evolved quite a bit in its 60+ years of existence. Jack Cornett has been working full-time at Cornett Racing Engines building Dirt Late Model powerplants since 1976. Today, some of the biggest names in Dirt Late Model racing choose Cornett Racing Engines to power their machines. Those winning drivers include Josh Richards, Darrell Lanigan, Jimmy Owens, Bart Hartman, Chris Madden, Mike Marlar, Rick Eckert, Jonathan Davenport, Brad Neat, Steve Casebolt, John Blankenship, and Austin Hubbard.